Jackie is a Business Psychologist with a background in personality and emotional intelligence assessment. Passionate about psychological wellbeing, she has delivered evidence-based training and workshops to employees of all levels, as well as students and teachers. 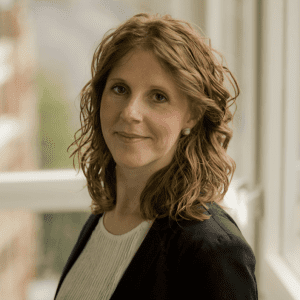 Jackie has been very closely involved in the development of the Wraw psychometric tool to provide clients with measurable insights to support and enhance their resilience and wellbeing programmes. With this detailed knowledge, she has seen first-hand the value that the tool can deliver to individuals, teams, leaders and organisations. Jackie is also experienced in corporate communications and was Marketing Communications Director at Risk Management Solutions (RMS), part of the DMGT group. Prior to that she was PR Manager for the UK and Europe for Mercer. Graduating from the University of Exeter with a BSc in psychology, Jackie gained her MSc in Occupational Psychology at Goldsmiths, University of London. She also holds a Certificate in Performance Coaching and Counselling Skills. She is a qualified trainer of the British Psychological Society Occupational Test User Qualifications, as well as the EQ-i2.0 and EQ360 emotional intelligence tools and Hogan HPI, HDS and MVPI psychometric assessments.